Do You Remember Your First Mini Drive? 1993. 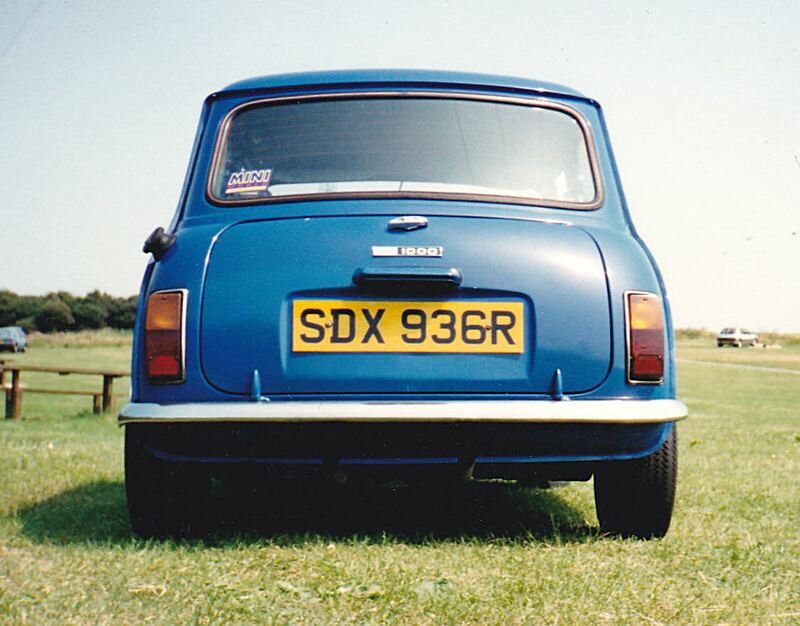 I was looking for my first car and my mate worked with a guy who was selling a 1977 Mini 1000 with a funky exhaust*. Took it to some side roads and I test drove it - I kept changing into first instead of third as I couldn't figure out the wide gearshift gate (the last car I drove beforehand was a Citroen BX). However, once I got the hang of it I knew I had to make it mine, so 3 days later I picked it up after work. *the funky exhaust was due to the backbox blowing on the standard one piece system. As they didn't have a new system in stock (the previous owner worked with my mate at a tyre/exhaust place), they looked around the stores to see what would fit. A reversed Subaru flat four front pipe with middle box was perfect and gave twin upswept rear pipes about 12 inches apart. Sounded lovely!! Edited by MrBounce, 21 March 2019 - 09:49 PM. About 1992, it was a friend of a friend's Vermillion mini 1000, about 1979 I think, it was quite entertaining as both inner wings had cracked from top to bottom in front of the shocks (I assume knowing what I know now the sub frame mounts had split and caused this), and when I accelerated the whole front of the car rose up as the sub frame moved. I think it got scrapped soon after. Externally it did look quite good though. Quite memorable really when my car was a Mk1 Fiesta (with Supersport wheels, body kit and stripes obviously) haha! 1968 - Grey F reg minivan my dad bought from the local butcher. Smelled awful .. eventually found a parcel of old mummified chops behind the driver seat under the spare wheel. Fitted a set of air horns that played Colonel Bogie. Back was carpeted and had cushions. Had a head on collision with an identical minivan one dark night coming around a left hand corner on way home to watch Scotsport at 10pm. I was doing 60 other car had missed his turn and continued down wrong side of road at about 30mph. It was like driving into a mirror. Mate got thrown through windscreen and lost most of his front teeth (no seatbelts back then) engine almost landed in my lap. Other couple just had minor injuries. 1970 or 1971 Algarve Portugal. My dad hired a 1000 saloon for our holiday and for some reason let me drive it around the complex where we were staying. I was 16. Much better than the Mk1 850 at home which I was never allowed to drive. On our 3rd bini too but you don't want to know about that.....but they are great cars in their own way and not deserving of the bile they get on here.